The Foster Law Firm is a law firm in Phoenix, Arizona dedicated to helping people get Social Security disability benefits. Founded in 2010, they have helped thousands of claimants through the Social Security process. They represent the disabled from the initial application through claims in front of the Federal District Court. 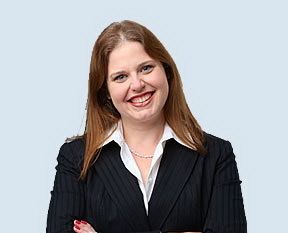 In 2015, Amy Foster published the Social Security Disability Guide for Beginners, now available at Amazon.com, so more people would have access to information about how the disability process works. BusinessInterviews.com: What are some common misconceptions that people have when it comes to the areas of disability and Social Security law and procedures? Amy: That everyone applying for disability or getting disability is a drug addict or fraud. It’s just not true. The judges and disability examiners are always on the lookout for drug or alcohol abuse. Any hint of fraud or abuse in your medical records and it’s near impossible to get disability. I won’t say that there aren’t people receiving Social Security who aren’t frauds or drug addicts but it’s so rare. In the meantime, we have scores of disabled people waiting for disability or on disability getting a bad reputation. In 2013, only 1.8% of the cases reported for possible fraud were found to have any sort of misconduct. It’s just not there. I also see people calling Social Security disability welfare. It’s not. It’s a retirement benefit you paid in to that you are asking to access early because you became disabled. BusinessInterviews.com: What are some of the first questions that someone should ask when searching for a disability lawyer? Amy: Money should not be an issue. All Social Security attorneys charge the same because Social Security controls and approves our fees. We work on contingency so there should be no money upfront. The attorney should explain what the case looks like, what the pros and cons are, what the next steps are and how long it should take. The client needs to be comfortable talking to the attorney and the firm and they should explain everything and answer all of the client’s questions. Getting disability can be a really long process and the client is going to have to share very personal information. It does no good to hire an attorney if the client isn’t comfortable asking questions and calling with information. BusinessInterviews.com: Since you’ve seen the outcome firsthand, can you share some of the ways that winning disability benefits really changes someone’s life? Amy: By the time benefits come in, the clients have often been without income for up to two years or more. Very few people have enough savings to go two years with no income. Remember, no one plans on becoming disabled so it’s not like retirement – they just found one day they could not work anymore. When benefits are approved, clients get the back pay from Social Security so they can pay their bills, have guaranteed income coming in, plus they get medical insurance. The simple knowledge that they are no longer a burden on their family and friends and can take care of themselves financially for as long as they need to is sensational. I love getting to tell someone they can go from not being able to afford Tylenol to being able to pay for a place to live. BusinessInterviews.com: What can someone expect from their first meeting with you or from someone from your team? Amy: I talk with everyone personally. I’ve made it a policy from the beginning that even if someone doesn’t become a client, I still want that person to have useful information. A person may simply not qualify for Social Security, but I want that person to understand why he doesn’t qualify so he doesn’t have to go from attorney to attorney and keep getting doors slammed in his face. If I can take on a client, I explain what will happen and how Social Security works. I give a realistic time frame and explain exactly what I will do for each client. I also try to give the pros and cons of each case so the client knows what we’re dealing with. BusinessInterviews.com: Congratulations on your book, Social Security Disability for Beginners, now available at Amazon.com. What inspired your decision to help others navigate the social security system when it comes to disability benefits? Did you encounter any challenges during your writing process? Amy: Thank you. Realistically, I can’t help everyone get Social Security and it can be a very confusing process. I don’t like the thought of people feeling powerless before a system that is designed to help them. There are so many benefits out there that can really help people and no one seems to know they exist! Some areas of the country do not have a lot of attorneys that do this sort of law. I want to give people an easy guide to follow so they can help themselves or loved ones if they have to and know when they are at the point when they really want to call an attorney. The biggest challenge was just to make a dry subject interesting and funny. There’s no point in putting the book out if no one can get past page five. BusinessInterviews.com: What are some common issues that people face when applying for disability benefits and how can they be avoided? Amy: I see people give up too soon. Most people don’t realize that anywhere between 60 – 90% of disability applications are denied the first time around. They need to appeal their denials! Just because you were denied once it doesn’t mean you won’t ever be approved for benefits. This is where an attorney is helpful because the attorney can walk you through the process and make sure the appeal is filed correctly and everything is handled properly. If you’re applying for disability to begin with, you’re probably not emotionally or physically equipped to handle a long and annoying administrative process so you really want an attorney’s help.